Recently I was asked by the good folks over at ETBFit to write a blog post touching on the foods I eat to fuel my workouts, what music I like to listen to when exercising and the kinds of fitness routines I do to stay motivated. It was a fun challenge. Breakfast is the favorite meal of our day and I make sure it has a healthy dose of the good fats and lean protein. The rest of the day is filled with quick, small protein snacks to keep my energy up so as not to not overeat at night. A protein shake with hemp hearts, chia seeds, almond milk and fruit, or buying an off-the-shelf one, is a great way to start the day. An egg white omelet, home made muesli, a small bowl of oatmeal + some kefir, toast with peanut butter and fruit, home made oatmeal pancakes – are all apart of our morning routine. For a pre-workout snack, I like a piece of fruit, or a half protein bar, 20 minutes before the session. Humus and veggies, or a handful of nuts and dried fruit, are great post workout snacks. The other challenge I have is bringing the right food to tide me over on a busy day filled with clients and classes. Steamed edamame beans, hard-boiled eggs, a handful of almonds and roasted chickpeas are all good choices; quick and easy to eat with little muss and fuss. 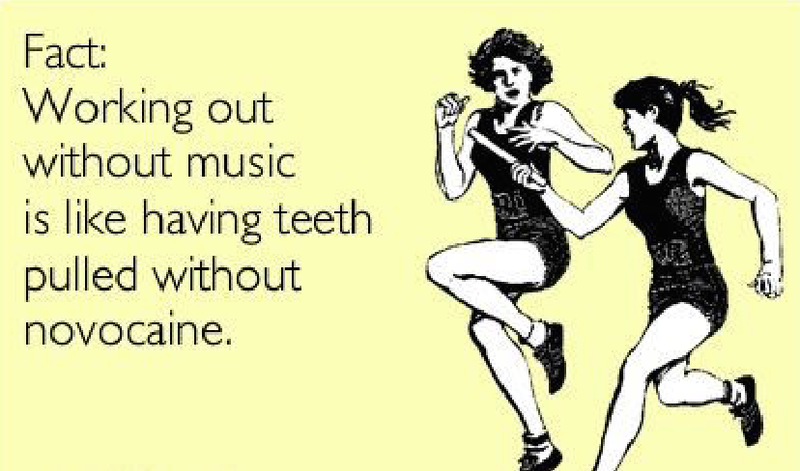 The right music is important when you exercise. It can make or break a class, relax you when stretching and motivate you to keep a steady pace. Neon Steve, or DJ Kenya, are great steady beats for the Cardio and Resistance sections of the routine. Chet Faker and Hozier are great for Cool Down and Stretching. It’s old fashioned, but taking time to craft the play lists for the weekly Stretch Class I teach has branched out to creating play lists for all my workouts. It might be time to put those lists up on Spotify or some other music sites. Stay tuned. I’ll let you know. The challenge for both my clients and myself is to design programs that are do-able. I’m a great fan of short workouts throughout the day coupled with longer workouts designed for specific goals. Longer workouts usually revolve around a goal I’ve set for myself (for instance, camping in the Australian outback or hiking up Machu Picchu) and I like to do these in a gym setting. My gym has a pool too. I’ve added a water workout that is both fun and effective. I find the water much easier on the joints. When the weather is nice, exercising outdoors is a great way to get some fresh air and mix things up. Chest presses against a fence, squats using different tempos, finding hills or a set of stairs to run or walk up and a stretch using a park bench - all work to create a variety of interesting routines that I look forward to doing. Having been a trainer for over 30 years, it is taken time to figure out the right strategy for me. The one lesson I’ve learned – you need a lot of options to keep things fresh, be it diet, music or the motivation to get going.